Don’t even think about putting La Fleur into a box. For a start, she’s had too many twists and turns in her career to be edged into one particular corner. Don’t even think about putting La Fleur into a box. For a start, she’s had too many twists and turns in her career to be edged into one particular corner. “I don’t like the word perfectionist because sometimes it makes it hard to think outside the box,” she smiles. “But actually, I’m a lot like that! I have a real attention to details. I'm never really satisfied with things – so I work and work until it feels right. I never leave anything to chance." La Fleur actually started her working life as a pharmacist – but despite her acute understanding of laboratories, her passion was for an altogether different kind of mixing. “My choice of career came to a point where I had to choose - and I like the way it’s turned out!” It was an active choice to make music, and La Fleur chose with her heart - and feet. Her first residencies were at Sunday Secrets at Berns in Stockholm and the infamous Grodan Cocktail Club. La Fleur’s sound is simultaneously house and techno, classic and futuristic alike. With her ‘Flowerhead’ EP already a classic, it’s clear that making music (and moves) are key to her core beliefs. 2008 saw La Fleur’s first forays into the studio, with her remix of David Ekenbäck’s "Nairu" and 2010 and 2011 added further strings to her bow, with the founding of Power Plant Records and remixes for Stuffa, Martin Dawson and Jesper Ryom. Remixes for Adana Twins and Kerri Chandler followed, consolidating her position as a go-to remixer. Building on the success of the ‘Flowerhead’ EP, ‘Eavesdropper’ and ‘Flowerhead Revisited’, 2012 marked a new chapter for La Fleur. In 2014, having been nominated three years in a row, she had the honour of winning the prestigious P3 Guld award prize for 'Best Electronic Act', the Swedish equivalent of the Grammys. She also saw her music mixed by some of Detroit’s finest techno producers ever: her ‘Arms Around’ EP included a remix from Carl Craig, while ‘Nightflow’ was re-cooked to perfection by Kenny Larkin. 2016 was equally busy. There was a new EP for Watergate (the ‘Hedione’ EP), and ‘Vervain’ released as part of a new sampler for MadHouse, continuing La Fleur’s blossoming friendship with Kerri Chandler. And her debut for Cocoon Recordings – the epic, brooding ‘Chemicality’ – also dropped on the Cocoon P compilation. 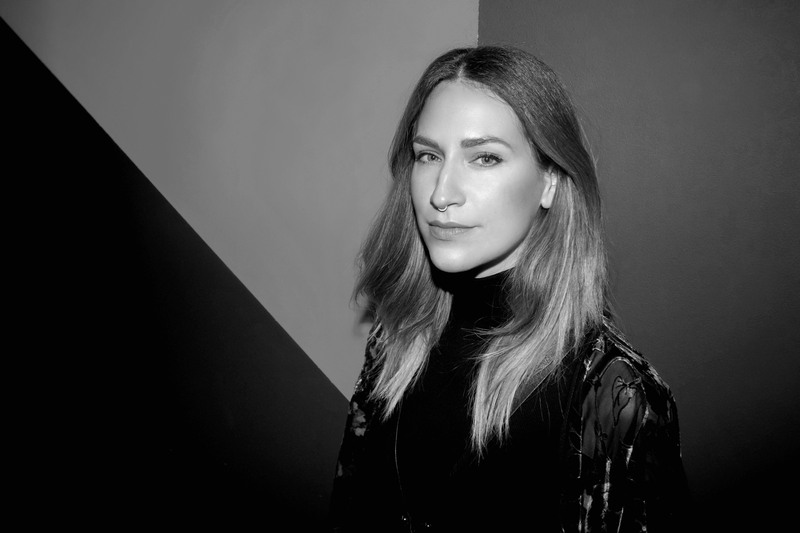 La Fleur also cemented a techno friendship with Richie Hawtin and the PLAYdifferently/ MODEL1 team when she performed on The Boiler Room alongside Richie and Dubfire. 2017 also continued the trajectory and really saw La Fleur step up a gear, both in the studio on and tour. After a momentous Miami Music Week trip, she was made a resident for Hot Since 82’s new Labyrinth party at Pacha. She also performed alongside Pete Tong at Blue Marlin and at Sasha and Digweed’s summer residency at Privilege. And in November, she was invited to play at The Warehouse Project for Knee Deep In Sound, where she joined Damian Lazarus, Cassy, Kölsch and Hot Since 82 for Knee Deep In Sound. As well as her acclaimed ‘Right Behind You’ EP (which featured ‘Circadian’), her Zoo Brazil’s ‘Sand’ remix was a key club hit in the spring and her remix of Sasha’s ‘Trigonometry’ was a bona fide musical moment. At the end of 2017, La Fleur was voted one of Mixmag’s Breakthrough DJs Of The Year alongside Bedouin and Lauren Lo Sung, and at the start of 2018, her new EP for Adam Beyer’s Truesoul imprint (featuring ‘Exhaust’ and ’Fish Truck’) was supported by Resident Advisor and Dummy alike. Her first key UK show of the year, meanwhile, is at London’s Tobacco Docks in March for Labyrinth. Make no mistake, La Fleur has well and truly arrived.